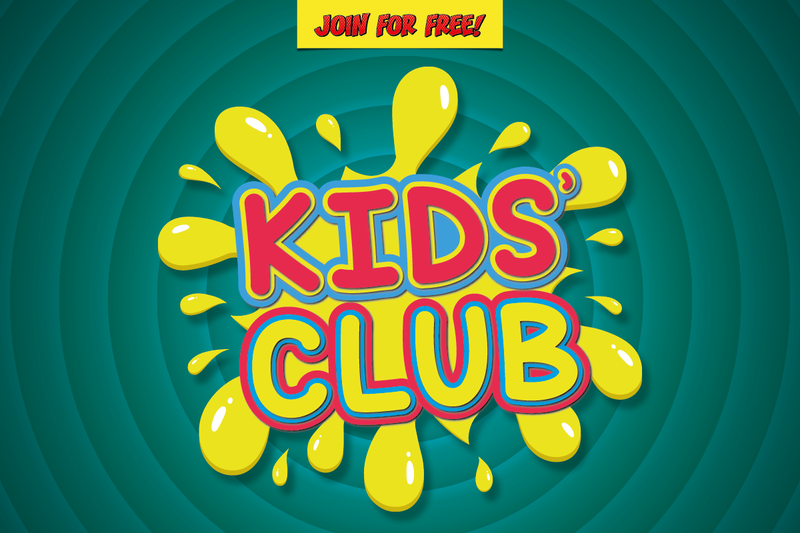 Garden Square Shopping Centre has launched a FREE Kids’ Club dedicated to children between the ages of 3 and 15 years. 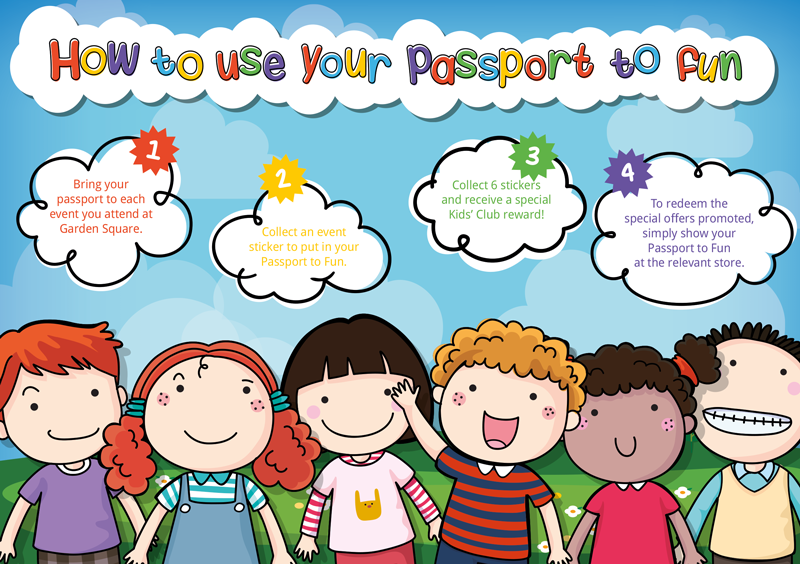 Kids’ Club Passport to Fun! Welcome to your Kids’ Club Passport to Fun! Grab your smile, pack your creativity and get ready for a year of jet-setting fun at Garden Square. We’ve planned a series of exciting FREE events, spectacular shows and artistic activities for children over the forthcoming months, designed to keep them entertained and educated. Be sure to keep hold of your Passport to Fun, as this is your exclusive gateway to special offers and discounts on event days. Details of these will be posted on our website and social media pages. Follow us on Facebook and tag along on Twitter to find out more! Collect 6 stickers in your Passport to Fun and we’ll reward you with a free gift! Simply take your passport to Specsavers in Garden Square to collect your treat. Be sure to keep up-to-date with news from Garden Square, exclusive offers from our retailers, job vacancies, free Kids’ Club events and much more by signing up to our mailing list.